Each month we recognize a standout provider who has demonstrated excellence across the board. This June, it’s William and Jaime P. in Philly! We think all of our providers are pretty amazing, incredibly hard working, and completely badass but this power couple might just take the cake. William and Jaime are devoted parents and two of the most industrious LawnGuru Providers we have. There isn’t a challenge they can’t tackle together. Since Jaime manages their operation, we want to take a moment to highlight her as she’s a true super woman. Running a business while juggling her kids’ schedules and still managing to have family dinner each night is a breeze if you’re Jaime. She goes so far to ensure her customers are taken care of by jumping right on her route to keep schedule even after receiving a round of chemo. Did we mention nothing stands in her way? She’s a warrior, a fighter and it just so happens cancer picked a fight with the wrong chick. The pair became interested in the outdoor service industry when Jaime was going to school full time, and the family had three mouths to feed. 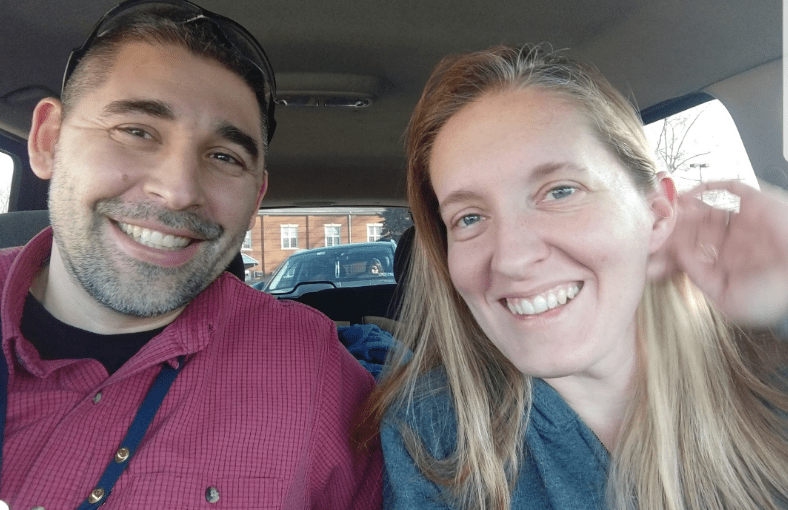 While William has been a loyal part of the Amtrak team for years, the two thought they’d additionally like to go into business together, with Jaime as the crew lead and continue growing the once “side hustle” that put her through school. With a keen understanding of marketing, the two decided to get some signage made and advertise for their lawn service. The response was overwhelmingly positive as the neighborhoods they plastered became fascinated with the idea of a female run lawn company. It goes without saying, things started moving quickly, and each week they acquired more and more customers. Being female in a male dominated industry can be tough, but Jaime never bats an eye, especially with William at her side as her primary support system. William and Jaime were naturals from the start, leaving lawns perfectly manicured and connecting with customers to understand their special requests and requirements when it comes to their yard as if they were family. They’ve built up quite a reputation in the metro Philly area and while William is at Amtrak, Jaime is out in the field mowing. This alone has allowed them to drive their business from part time to a full service lawn and landscaping operation. While they work as a team, Jaime knows her customers personally and is acutely aware to work the route around nap times for families with small children; truly taking every detail into account to deliver the best service top to bottom. After coming across LawnGuru on Facebook in the Spring of 2017, they decided to apply in order to elevate their business. It took five years of acquiring customers, and accruing a full line of commercial grade equipment piece by piece to set a solid foundation for their company. Ready to take their operation to the next level, they integrated the app into their business for expansion purposes. The two define teamwork. Jaime kicks off the mow route each morning, while William heads to Amtrak and meets up with her in the afternoon to finish out the day. Their hard work hasn’t gone unnoticed. William & Jaime are our go-to Philly Pros, lending a hand to LawnGuru customers in need of cuts on the fly before parties or home showings. Our Pros inspire us every day with their dedication, work ethic, and professionalism. What tickles us, as well as our Pros, is the appreciation they get from our customers. “One of the most memorable experiences was around last Christmas when we did a cleanup for a LawnGuru customer. We had been servicing them all season and when we pulled up there was a card wrapped around a tree with a big red bow that read ‘William & Jaime.’ “The $500 gift card was certainly a bonus but the gesture is what really touched us,” William said. William & Jaime are avid users of the “Add Client” feature on LawnGuru, allowing them to simplify their business. The feature lets them freely add new & existing customers to the LawnGuru platform, including personal customers not acquired through the app. Like many of our providers, William & Jaime like the convenience of managing all their customers and invoicing in one place. They love being able to provide their personal customers the benefit of the LawnGuru app; like in app communication tools through messaging, live order tracking, and automatic payment options. Are you a provider using LawnGuru? Want to nominate yourself as a future Provider of the Month? Give us a call or email support@lawnguru.co with a brief profile on yourself and your company so we can feature you! Read more about our previous Providers of the Month here!